Free Shipping Included! 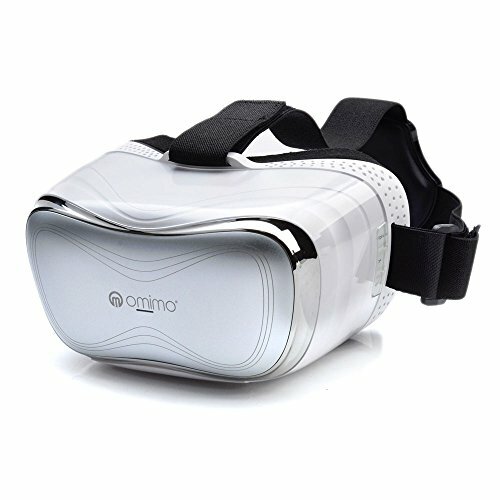 Omimo VR All in One Virtual Reality Headset 3D VR Glasses Games and Movies Android 19201080 FHD 2G/8G 360 Viewing Immersive Support Wifi Bluetooth TF Card by Omimo at Kode Fu Guru. MPN: VR002. Hurry! Limited time offer. Offer valid only while supplies last. 2.We will pay for the shipping if the product has quality problems or other big disadvantages,otherwise the shipping fee should be paid by clients.After we receive your returned goods,we will return you money ,but deduct 20% for the restocking fee. We offer free shipping service to all the customers,But the tax caused by customs inspection (less likely to happen) in transit should be paid by the customers. [Portable Convenient Design]:It is an all-in-one device of which size is (6.9×4.35×4.08 in).Inbuilt android OS,you can take it anywhere for entertainment and don't need a phone or other accessories. This can also make you operate the device easily by remote control or pressing the buttons. [Fast Processing Speed]:With octa-core CPU and 9 axle sensor,it can provide you with fast processing speed,short response time and quickly capture of your body's movement when you are playing games. [Your Private IMAX Theater]:With 5 inch FHD 1920*1080 440PPI screen and refresh rate 75 Hz, it can provide you with stable and clear picture,you can watch 2D or 3D movies online or offline.The 3D effect can provide you with a strong immersive feeling. [Strong Compatibility] :It can be connected with PC, XBOX and other devices via HDMI.Games and apps are listed in the app store,you can download what you like or just transfer APK files from computer. [Quality Assurance]:As we are manufacturers,quality goods and 100% customer satisfaction would be provided cause we have a top R & D team,better materials and mature production technology. If you have any questions about this product by Omimo, contact us by completing and submitting the form below. If you are looking for a specif part number, please include it with your message.